The GAIS attacker Alfredo Steiner got a slightly different winter holiday week than he had expected. 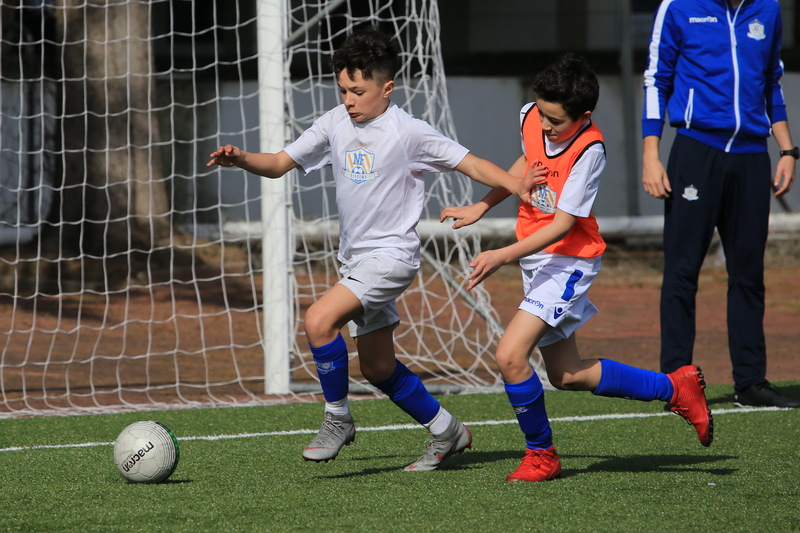 Born in 2006 and half Brazilian half Swedish, Steiner is the agile technician that has been part of the NF Academy’s programs for the past year, and he has been in week 9 of the NF Elite Training Camp program in winter at Cascais. Upon arrival in Lisbon, he received a pleasant surprise. 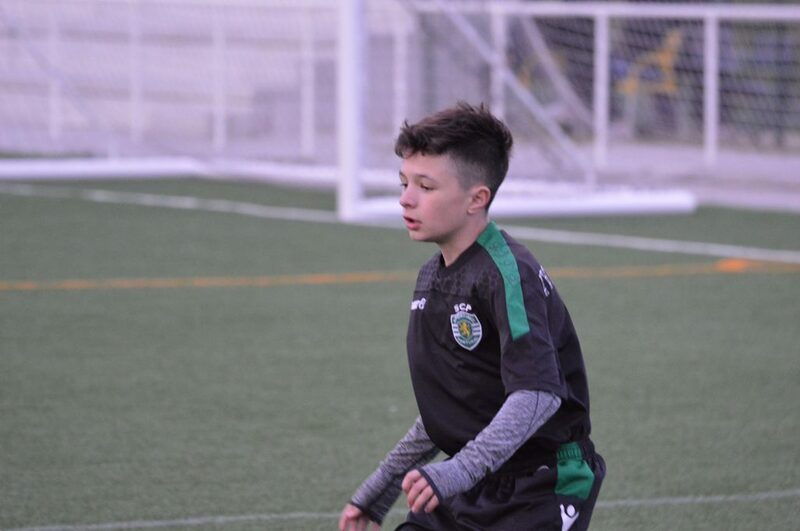 Sporting CP invited the 13-year-old to a 3-day training stay at the Academy with other 2006 players. It was an unforgettable experience for the Swedish-Brazilian youth. It was great fun. The pace was higher than I am used to, but I was well received. They were not so good in English, but I understood what was said and the exercises were relatively familiar. The sessions had a much higher intensity and pace, says Alfredo Steiner. NF Academy has employed several new coaches over the past year. Like the rest of the coaching corporations in the Portuguese based academy, the coaches come with a heavy background from, among others, the world-renowned academies of Sporting CP and SL Benfica. 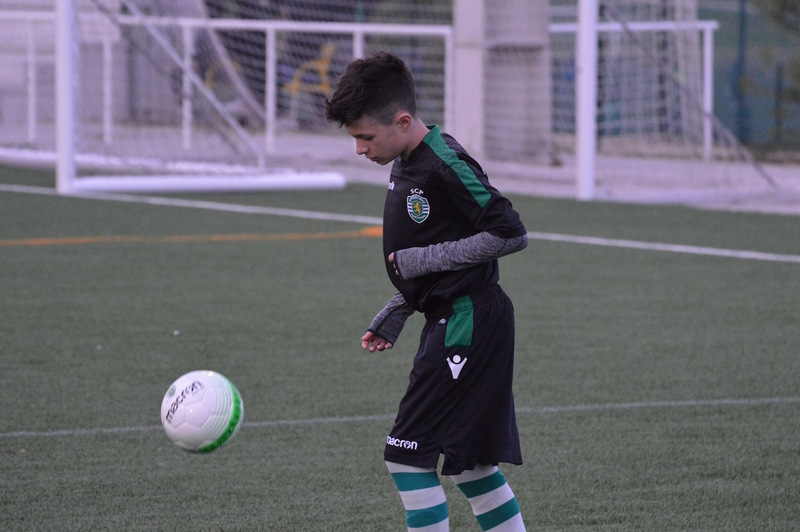 Alfredo Steiner is the second NF Academy player who has practiced with Sporting CP, after becoming part of the NF Academy programs. In the winter holiday last year, goalkeeper Sebastian Hansen came to Sporting at a training stay. In addition, NF Academy has sent several players to training sessions for the world-renowned academy after winning the player of the camp award during training camps in Norwegian cities this past year. Sports director Gonçalo Nunes talks about a close collaboration between NF Academy and Sporting CP. There is also a background for Alfredo Steiner to train with the academy of the Portuguese top club. Sporting CP for many previous seasons has had the majority of self-developed players in the starter. Alfredo has been involved in almost all our programs and has taken all the challenges we have given him, both in Riga Cup in January and through previous tournaments and training weeks here in Lisbon. Sporting CP took an interest in him during our Elite Camp here in October and would therefore invite him to a training stay this week. This way we are giving promising players a new challenge which is important for their future development. We believe Alfredo and other players we have in the program are ready for such a challenge, and so we pass them on when Sporting offers this opportunity, says sports director at NF Academy, Gonçalo Nunes. Young Alfredo Steiner was part of the NF Academy’s program during the winter holidays. He would train with the rest of the group week through. Instead, there were three afternoon sessions with Sporting. The Swedish-Brazilian promising player is full of praise about the NF Academy’s program. It is fun to be part of this and you get to know some of the best training environment in Western Europe. The difference from home is that the pace is higher and the game goes on 1-2 touch all the way. I join the next program in IberCup here in Cascais in Easter. I’m really looking forward to that because it is fun to play against teams you usually do not meet, concludes Alfredo Steiner. He hardly becomes the last NF Academy player to get the chance to train with Sporting. There will be more chances for other players. They will see some of the academy life in Sporting from the inside, and we hope that will give them extra inspiration to train more towards their goals, concludes NF Academy Sports Director, Gonçalo Nunes.